Nokia Lumia 525, the next generation Nokia Phone after Nokia Lumia is set to be on sale in Singapore onwards December has been kept in price bracket of $249 (US$198). 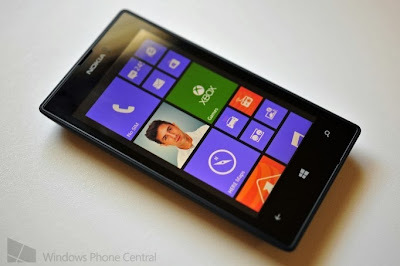 Similar to signature Lumia Handsets design, however, is slight smaller than its 525 version. With a replaceable rear cover and 1,430mAh battery the phone is available in four colours comprising blue, red, white, and black. The important utilities as volume rocker, power, and camera buttons has been set at the left hand side of the phone whereas the Micro-USB jack is situated at the bottom. With a 4-inch IPS display and resolution of 800x480 pixels the phone offers a 5-megapixle camera. To ease the multitasking it has a one GB RAM. The smartphone comes with 8GB of onboard storage, and has a microSD card slot for expandability. Further it has a 1 GHz dual-core Qualcomm Snapdragon processor, and will launch with the Nokia Lumia Black update package with inclusion of Windows Phone 8. Other additional free apps include Here Maps, Here Drive, and Here Transit. Overall in price tag of 249 dollars Lumia 525 is great offer to experience Windows Phone Platform.